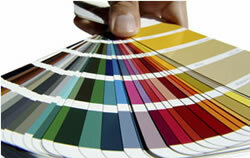 print services from BOSS NOVUS . . . . . . the professional’s choice! 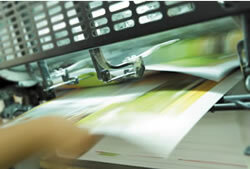 BOSS NOVUS provide a cost effective and quality controlled print management solution – everything to ensure the efficient control of your printing requirements. From letterheads and labels through to 4-colour corporate brochures and folders, we provide you with a competitive quote recommending the best and most cost effective method of print to fit the purpose whether digital or litho. Professional design work is carried out according to your brief, or we input your existing artwork into our system. All work is proofed electronically with version control for your final approval. We carry out the necessary finishing, such as binding, cutting, folding, punching, stitching and perforating – whatever is necessary to achieve the perfect print results. Your print is managed by one contact at BOSS NOVUS who has years of experience in the print industry and who will keep you informed of progress every step of the way. Delivered on time where it is needed, your finished product will be delivered in line with your schedule. We promote printing on recycled paper. The cost of recycled paper has fallen over the past couple of years due to increased demand. The quality is high and the production and use of recycled paper is more eco friendly than using virgin paper. We can hold stock on your behalf, freeing up your valuable space and when you’re running low on any print item we’ll advise you and with your approval re-stock supplies. Warehousing and inventory management is managed in-house and fully integrated with internal systems so that we can provide you with monthly stock reports that can include expenditure by cost centre. It’s a professional yet personal service that aims to take the hassle away from you.